Cars come in all shapes and sizes, and sometimes the shape can be the difference between hundreds and thousands of dollars. Cars are usually described as expensive toys for grown-up boys, and we can confirm that it is pretty much true. Some models can cost up to a million dollars and most of us regular people can’t even afford to think about them, not to mention buying. But, there’s a way for you to experience the beauty of driving such a luxurious car at least once, without completely breaking your bank. This is where car renting comes in really handy. However, even though renting is much cheaper than buying, you should still try to choose some special occasions for which you’ll rent a Lamborghini. In this article, we’re going to provide you with a few examples of when might be the perfect time to rent a car of such high quality and value, so without further ado, let’s dive deep into the content. Special birthdays such as turning 18 or 25 should sometimes be really celebrated to the fullest. So, renting a sweet car for your child or even for yourself (if you have the driving license of course) in order to have a pretty special day, can sometimes be a really good idea. You can choose to surprise your son or daughter by picking them up in such a car, or you can surprise your friends by driving one yourself on your birthday! 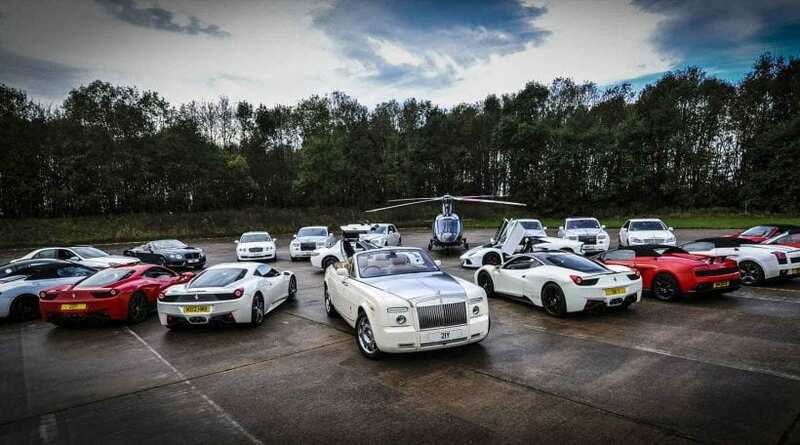 It’s up to you to get as creative as possible with the luxury car rental services. There are no doubts that proposals are very special moments and we tend to give our best to make our partner feel the magic, as well as make their entire day perfect and enjoyable. Some people tend to choose exotic locations, restaurants or do crazy activities such as proposing while skydiving, etc. Well, if you and your partner are car lovers, picking them up in an expensive sweet car and taking them for a long drive somewhere peaceful can also be an amazing set-up for your proposal. Or, if you’re more of the “adrenaline junkies” type, you can take them for a really fast ride out on the freeway. Just remember to always stay safe, we really do care about your well-being. Car rental services are pretty common these days, and if you need a car for a special occasion, there are big chances that they will help you with the entire process if you ask them nicely and choose to rent a car from them. Also, when choosing a car rental service, there are some things that you need to pay attention to. The first and most obvious one is the price. Different services will have different prices. The second thing is to see if they actually have the car that you want to rent. Not all car services have the latest and expensive car releases, so you need to do your research before going there and getting disappointed. Last but not least, make sure to read their rules and policies of what you’re allowed to do with their car if you decide to rent it. We hope that this article was helpful and we wish you good luck in finding the right car for you!